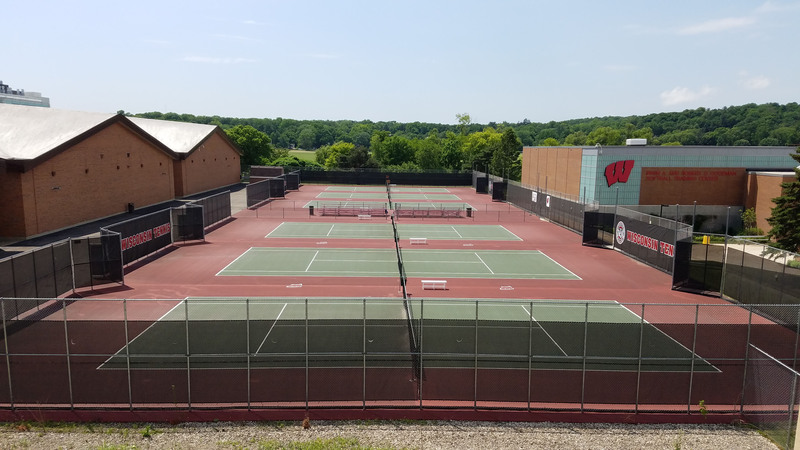 Edge is working with UW Athletics to upgrade and enhance their outdoor tennis facilities at Nielsen Tennis Stadium. 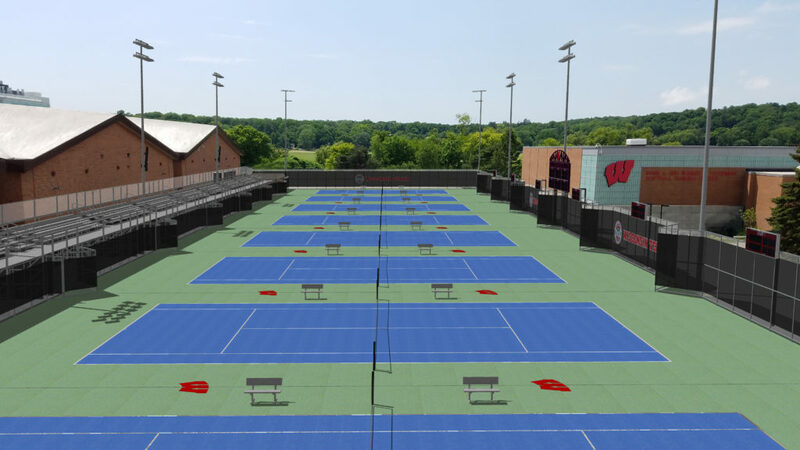 This project will primarily benefit the UW men’s and women’s tennis teams; however, the public will also have an opportunity to use the courts through Rec Sports programs or as a spectator. 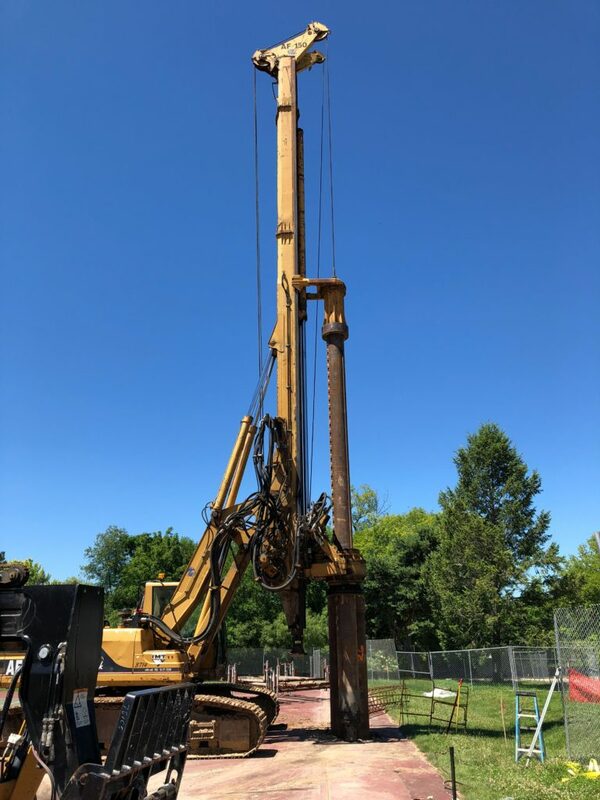 Construction bids were opened in May of 2018, and construction began on the $1.8M project approximately one month later. 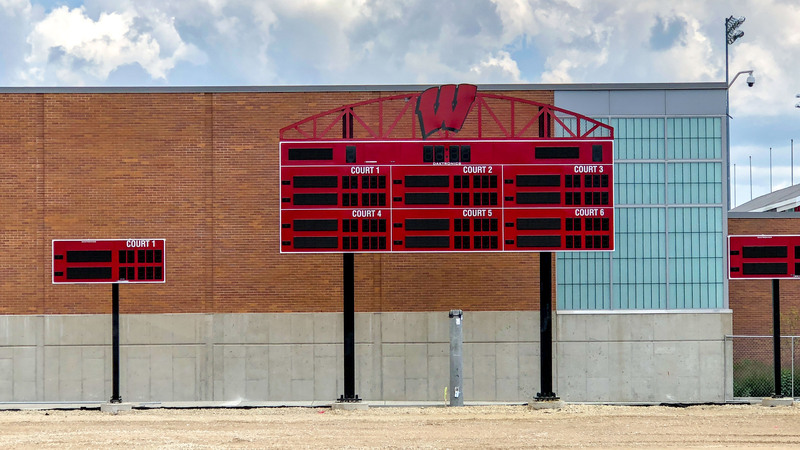 The Edge Project Manager, Brian Beaulieu, puts the estimated substantial completion date at August 31st, 2018, just a few days before the start of the Fall Semester at UW-Madison. In addition to the improvements listed above, there will be many other changes to the tennis court area. 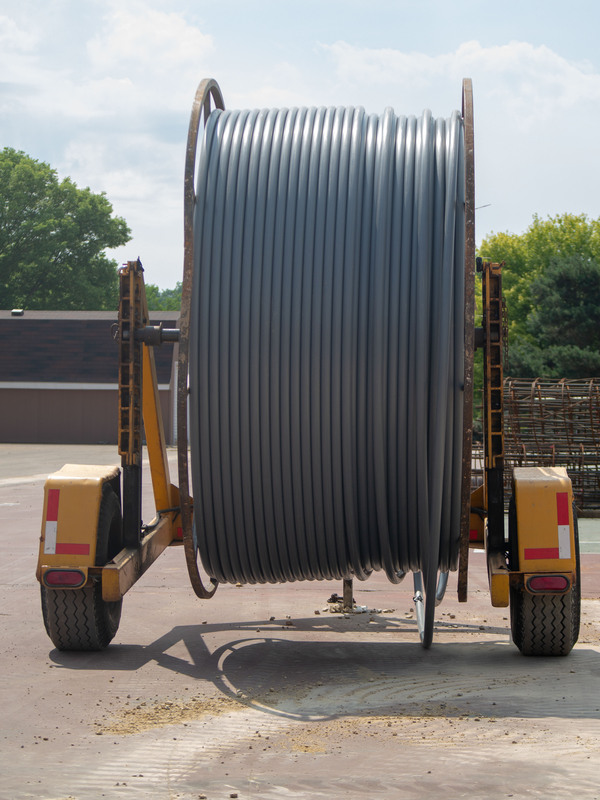 The project will provide all-new asphalt pavement and chain link fencing for the tennis courts as well as the spectator areas, water main relocation, new storm sewer, and new drain tile will also be put in place. 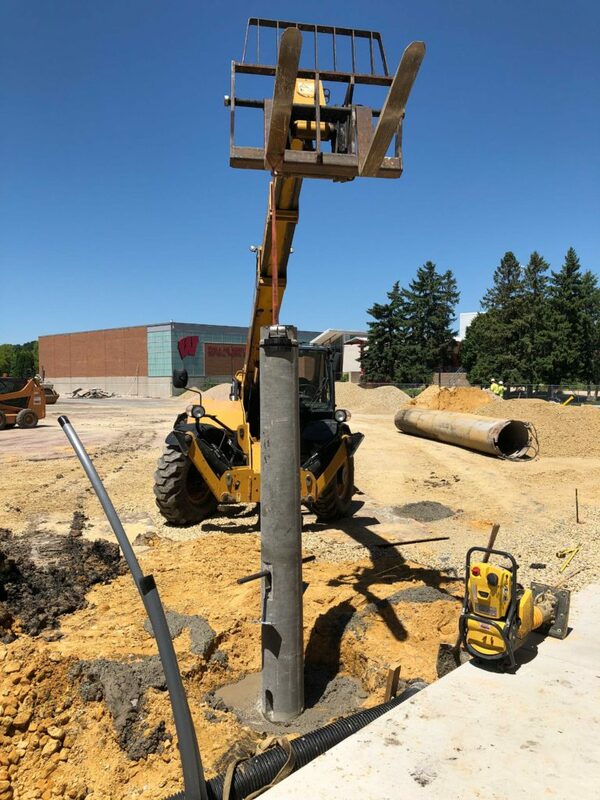 Furthermore, the nearby parking ramp (Lot 76) will provide power to the court lighting, scoreboards, and control systems via a new electrical service. Photos of other projects with Colleges and Universities as well as other institutions can be found here. 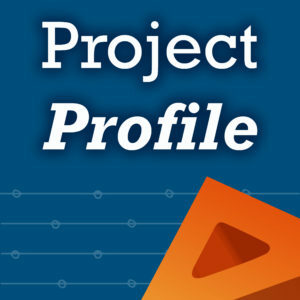 Want to read more about the project? See what UW-Athletics has to say! Overview of the existing courts prior to construction. Photo rendering of the finished project. 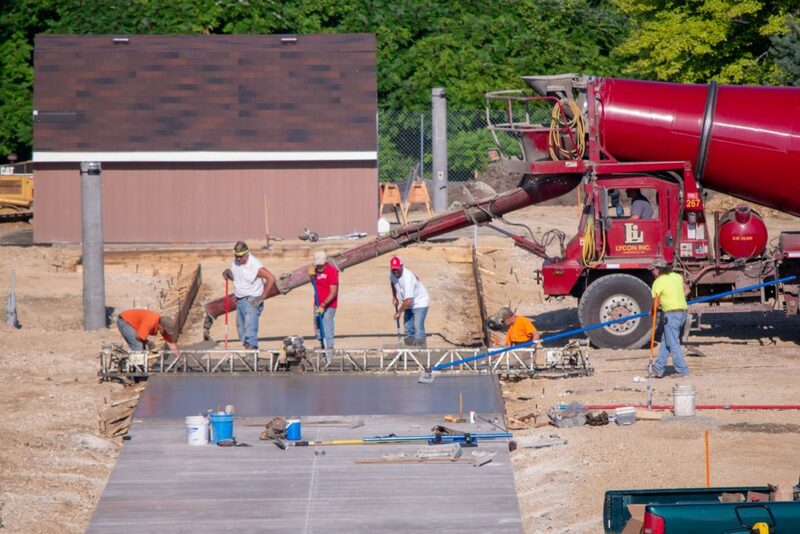 Construction workers install concrete pad for new bleachers. 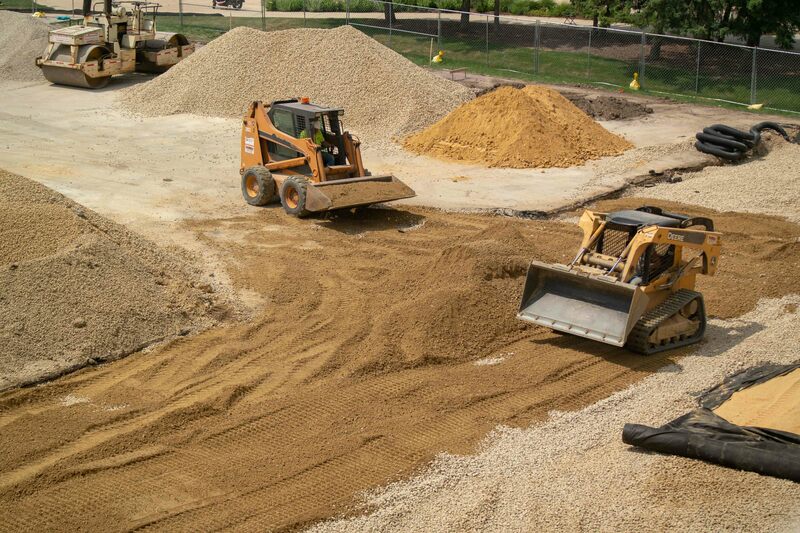 Construction crew works to expand court area. 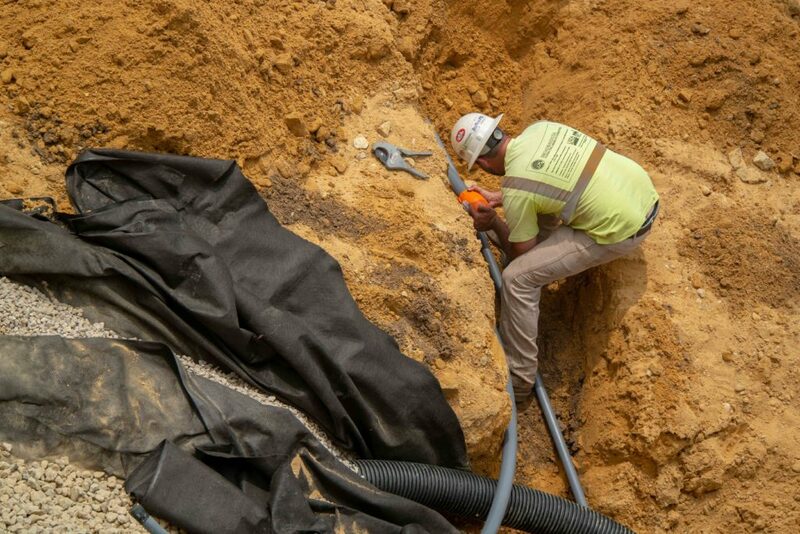 Construction worker installing buried electrical and signal conduit. Drilled Pier Installation for Scoreboards.